No. 2, Jalan Haji Abdul Karim 26/KS2, Taman Klang Ria, 41200 Klang, Selangor, Malaysia. 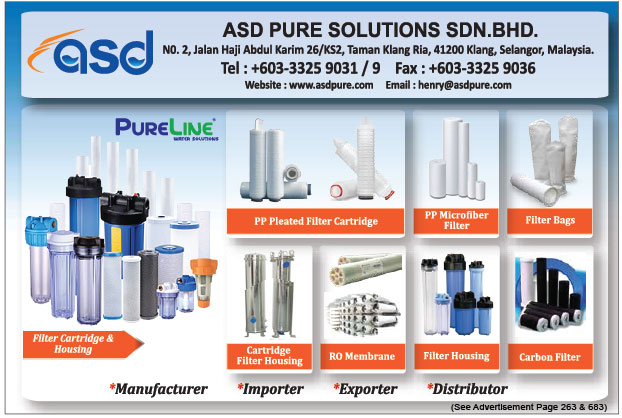 ASD Pure Solutions Sdn Bhd is a manufacturer, importer, exporter and distributor of water and process solution products for the purification of water. 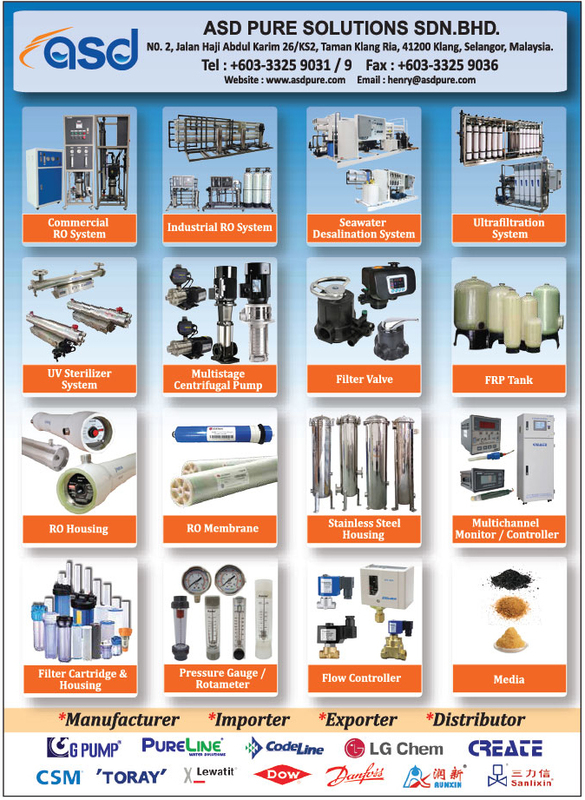 We offer all types of high quality and innovative yet cost effective water and process related products, consumables and systems to the South East Asia market. 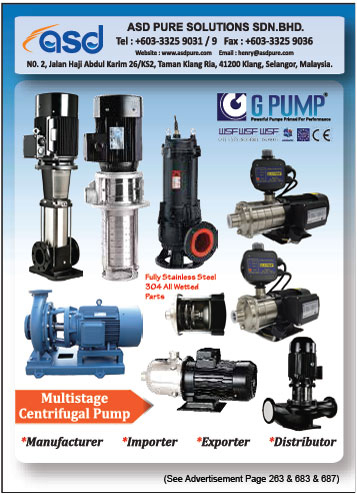 Located at different locations in Malaysia, we are committed and determined to provide competitive prices and providing effective delivery time to our customers. At ASD Pure Solutions, we know that quality water is vital. Therefore, we provide green technology products because we believe in protecting our environment, health and natural resources for a better future. We make cost saving, energy saving and resource recovery even better for you while delivering even better water.